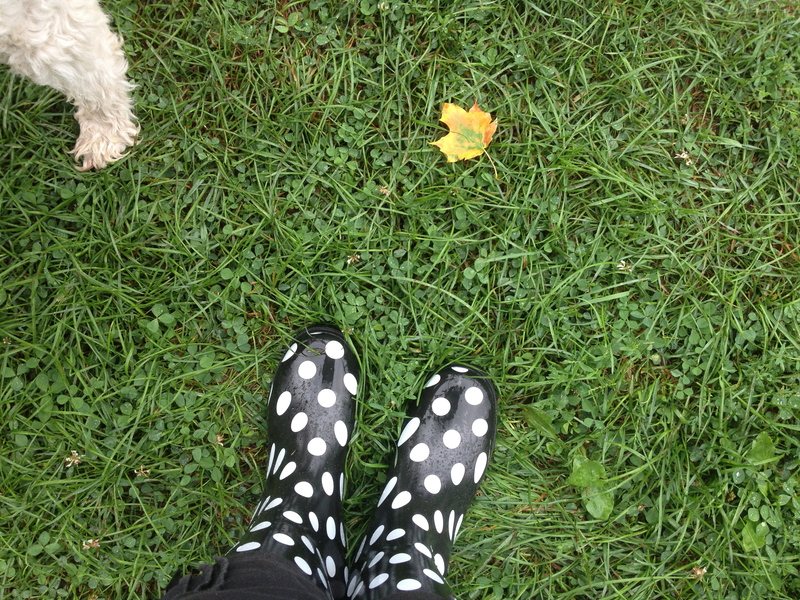 This is such a happy image – with the combination of polka-dots, that single fallen leaf and a dog who has already moved on to the next thing. Yes! Definitely a recipe for fun. 🙂 Thanks so much!